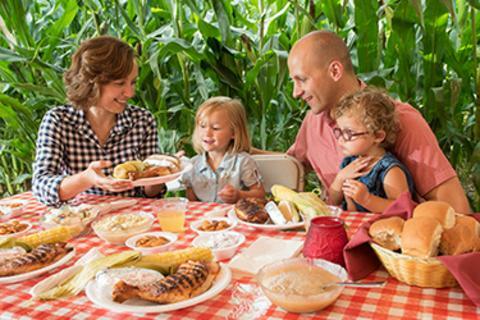 Create memories and experience our tradition of good food as you treat yourself to a Banquet in a Cornfield. The Smucker family invites you to gain a deeper appreciation of Lancaster County’s agricultural heritage and enjoy a mouthwatering farm-fresh meal on our family homestead, all served under a tent among the rows of corn. From the moment you join us on the hayride until after the family-fun activities, corn maze, and music around the bonfire, you’ll create great memories of this relaxing evening in the country. $44.95 for adults; $24.95 for children ages 4-12; children 3 and under eat free! Ask about discounts for groups of 20 or more.